Loretta Kirk was formerly the Deputy General Manager - Finance and Administration for the Greater Cleveland Regional Transit Authority (GCRTA). 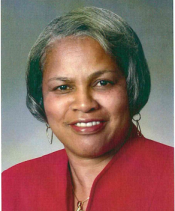 As Chief Financial Officer of the GCRTA, her primary role was to manage the financial resources of the organization. She was responsible for the Accounting, Disadvantaged Business Enterprise/Small Business, Fare Collection, Financing, Procurement, Office Administration, Grants Management, Records Management, and Treasury functions of the GCRTA. As a member of the executive management team, Ms. Kirk also participated in the development of strategic plans and goal setting for the transit system. Ms. Kirk has been a member of the Conference of Minority Transportation Officials for 38 continuous years. On the national level, she has served as the Board Chair, First Vice Chair, Secretary-Treasurer, Immediate Past National Chair, and Presidents’ Council Representative. Locally, she served as the President, First Vice President, Second Vice President, and Treasurer for the Cleveland-Northeast Ohio Chapter. Ms. Kirk is an active mentor and developer of young transportation professionals. Ms. Kirk is a recipient of the Gerald A. Anderson Sibling Award from the Conference of Minority Transportation Officials. She was also a 2016 recipient of COMTO's Women Who Move the Nation recognition.